Location: Carrer de Casp, 48 Barcelona. Present condition: Façades: Both street and back Good / Interiors: Hall, stairs and mezzanine areas Good, other parts adapted to present needs. Visits: Because the building is private owned, the visit of interior is not possible. In the ground floor it is an excellent restaurant with a gaudinist ambience. 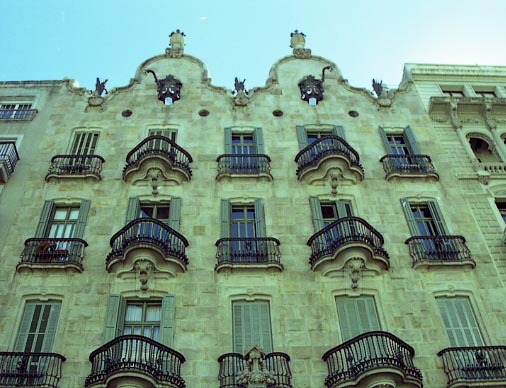 Project of the architect Antoni Gaudí i Cornet of 1898 and built between 1898 and 1900. 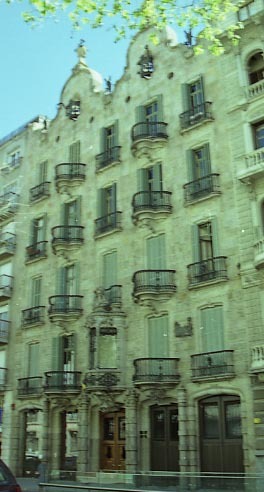 Awarded in 1900 by the Municipality of Barcelona. 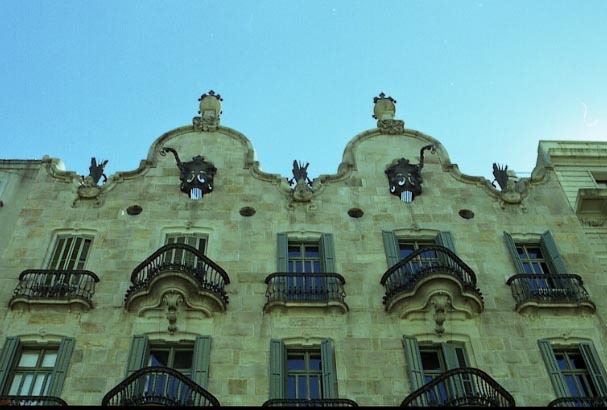 This is the first Gaudí neighbours building, made under commission of Calvet family (textile manufacturers). 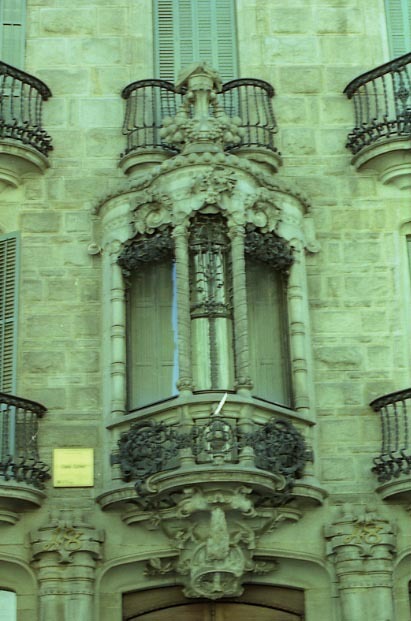 The façade made in stone and iron, was developed with the collaboration of Lluís Badía (forged iron) and the carpenter Casas i Bardé (following Permanyer). 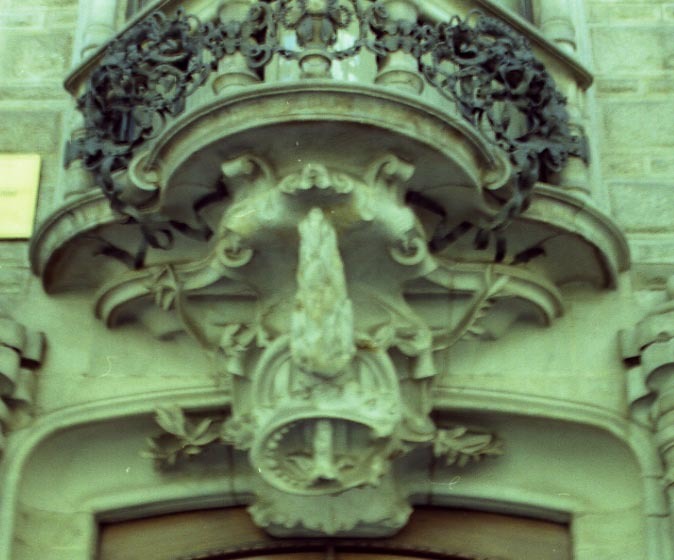 The façade is topped with a double pediment -with two fantastic axle trees made in forged iron- crowned by forged iron crosses. 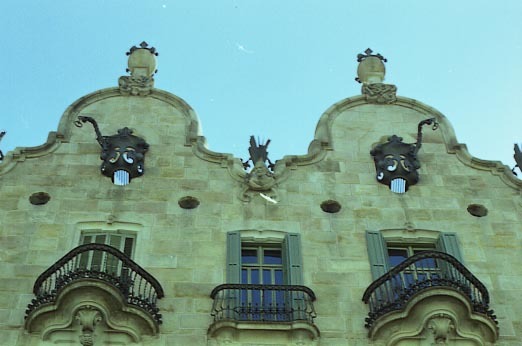 Each side and the centre part of façade are adorned with the heads of Saint Peter (the owner father patron) Saint Genis notary and Saint Genis comedian (patrons of Eduard Calvet birthplace Vilassar de Mar). Back façade (non visible from the street) is very interesting and appreciated by specialists. 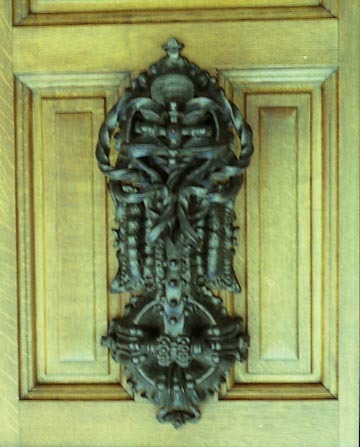 The lift, with its decoration in wood, iron and crystal, is also an artwork. The furniture of ground and first floor was designed by Gaudí and is partially visible in Gaudí Museum into the Park Güell. This is perhaps the most conventional Gaudí building.